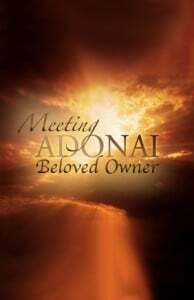 We are reluctant to make Adonai the real Owner of our precious life and our treasures. We suspect He will take everything away and give us nothing. But when He owns all, He is responsible not only for our supply but our fear, sin, weakness and inability. God takes up Gideon’s need for reassurance until it is solved. Those who are not owned children have no such right to Adonai’s patience.